As you might have read recently on my blog this Mumma has returned to work and it was time to get decked out in new threads for work. All the things I used to wear to work prior to having Niah didn't fit me anymore and were undated pieces of clothing that weren't for this seasons weather. 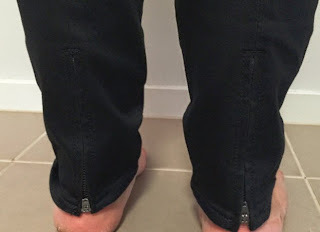 I went into Jeanswest a few weeks ago to get some jeans and was actually really surprised at the clothing range other than jeans that were in store. There was pieces that I thought yeah, I would wear that to work and this is how it become so I teamed up with Jeanswest to shot some of there clothing in a back to work post. This would have to be my favorite combo from the Jeanswest items I had. Putting on all of these made me feel so comfortable and happy with where my body has gotten to now through my weight loss. Cyndi Double Zip Ponte Blazer - Available in sizes XXS to XL in colors black and biscuit (as pictured above). A stunning fit that cuts in at the right area of the waist but being a loose material blend of made from 68% viscose 27% nylon 5% elastane. The blazer is one of the most comfiest blazers I have ever put on. 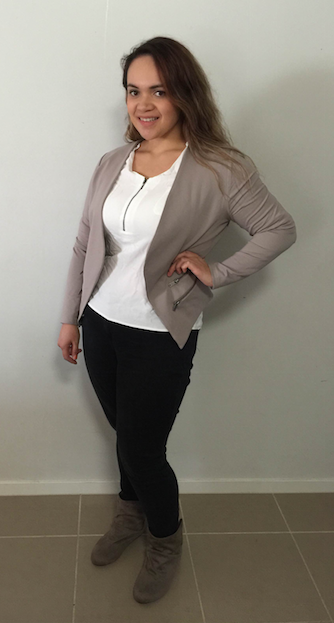 Usually a blazer is very narrow fitting and will make you feel tight and like the shoulders are going Gaga like on you but the Cyndi Double Zip Ponte Blazer is a very loose and flattering blazer that would be for comfortable on any body shape. The sides of the blazer come in as almost tear drop like, adding some uniqueness by the cut as well as having the double zips on both sides. 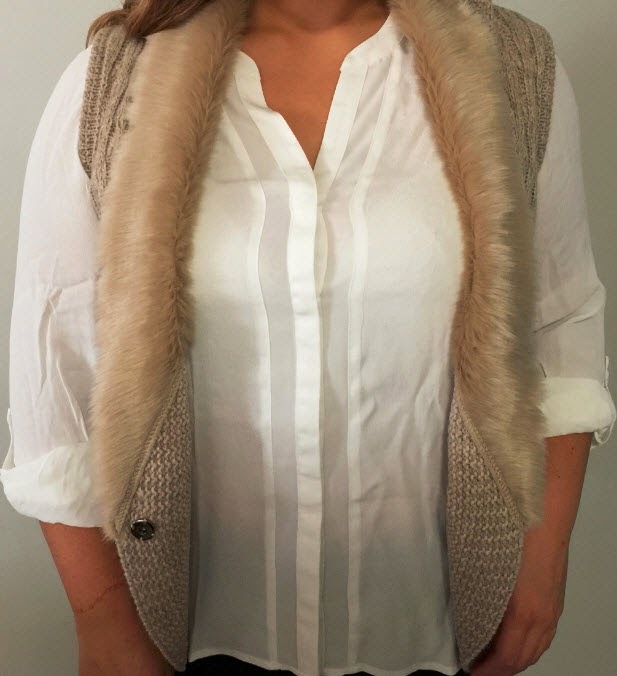 Luna LS Zip Front Top - Available in sizes 6 to 16 in coconut white color. Made from 100% viscose voile. A snug fit on the chest for me with this top but that is what I most prefer in my shirts as I do have a larger chest in which if the clothing does not sit fitted then it will drape from my chest, making me look larger than I am. 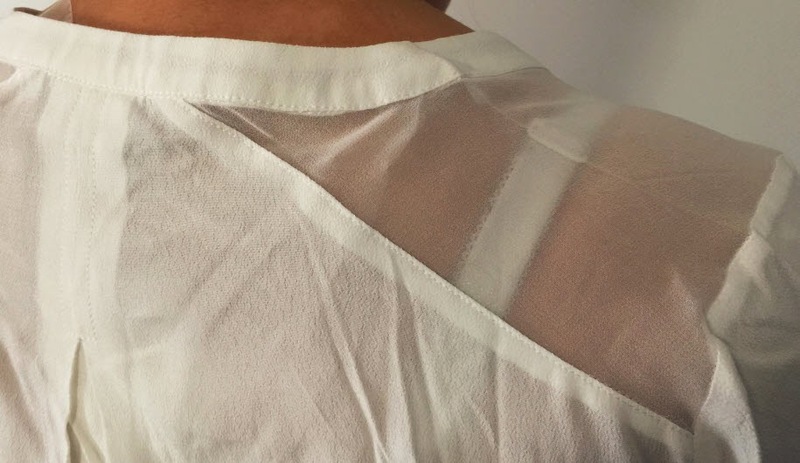 The shirt is made with a dropped hem at the back for extra length to cover the bottom. Double pockets sitting on chest area. Adjustable clip up arm length to be able to change into a 3/4 top. Aja Curve Embracer Skinny 7/8 Jeans - Available in sizes 6 to 16. Zippers on both sides of the ankles which I find to give a more fitted fit on the legs. I like my jeans to be tight around my legs especially around the ankles where they will give you the ankle skimming profile. The color of the jeans I would describe to be a washed out black on the thigh area with the kind of two toning grey black going on. 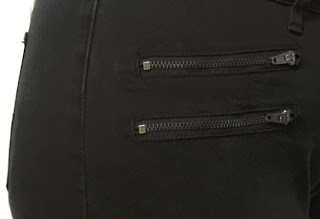 Two zippers on the right hip and one zipper on the left hand side - these were fake zippers but added style to the jeans. I found these jeans to be snug fitting to my body and I really loved the design of these ones. Courtney Sleveless Fur Gilet - Available in sizes XXS to XL in colors black marle and biscuit marle (as pictured). A blend of 85% Arcylic, 15% Wool making up for a warm and soft vest. Added length to the back keeping that bottom warm. 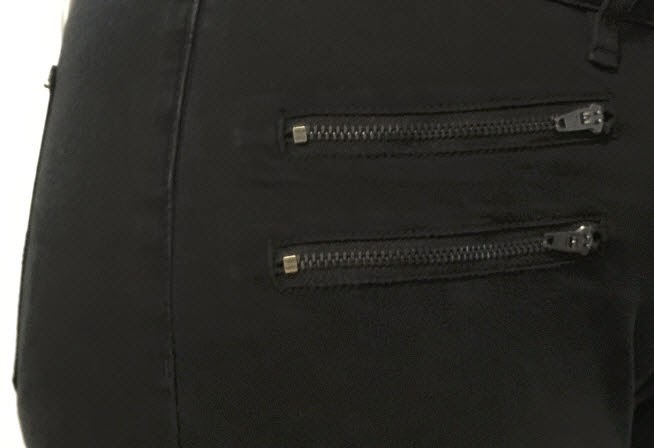 Single clip button near the waist area. Perfect for over the top of shirts on mid warm days. Very light to wear and snugly warm. Flavia Mixed Fabric Shirt - Available in sizes 6 to 16 in colors coconut (white) and night blue. A very delicate soft shirt made from 100% viscose. Two (2) sorts of paneling on this shirt with on the shoulders having a more clear see through area. Button up collarless shirt with adjustable clip together sleeves to make your shirt into a 3/4 style. Viv Curve Embracer Skinny 7/8 Jeans - Available in sizes 6 to 16. Jeanswest have amazingly comfortable jeans that cater to any body shape. These particular jeans are in the curve embracer range which is more flattering fitted jeans catered to the curvy woman like myself. Zips at the back of the jeans which add a little something extra detail wise and look nice. Disclosure: This post is brought to you by Jeanswest. I was able to keep a few item pieces as featured above in exchange for its promotion here. I received no payment for this review and all opinions expressed in this post are entirely my own. The vest is super cute. It's really nice and warm and I love the caramel like color of it.